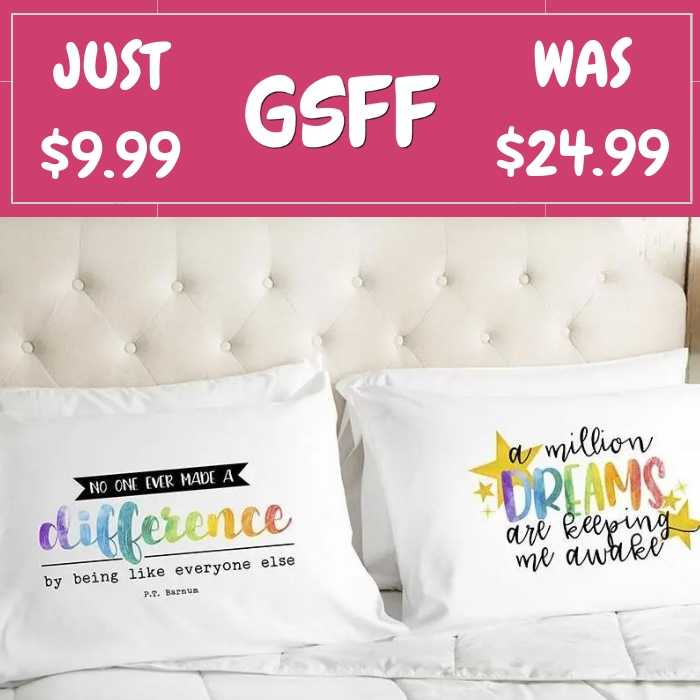 Dreamer Pillowcases Just $9.99! Down From $25! Shipped! You are here: Home / Great Deals / Dreamer Pillowcases Just $9.99! Down From $25! Shipped! This deal expires on February 8! Hurry over to Jane where you can score these Dreamer White Pillowcases for just $9.99 down from $24.99 PLUS FREE shipping! Upbeat quotes with an optimistic philosophy will help make bedtime a positive experience. What better way to fall asleep than to be surrounded by uplifting quotes that will help instill confidence in yourself and those you love? These bright, happy designs will add the perfect touch to any bed.